I’m tired of hearing about kids dying by gunfire. I’m tired of writing about kids who die by gunfire. I’m tired of wondering whether people are tired of me writing about kids dying by gunfire. And I’m tired of arguing whether anyone should be writing about kids dying by gunfire. At least we all agree on one thing: it’s a tragedy when a kid dies suddenly and unexpectedly simply because someone else decided, for whatever reason and sometimes without even knowing their victim, that they should die. In the wake of Sandy Hook, one of my friends essentially implied that my shock and horror were racist because of the fact that these were white kids in a well-to-do town where “that sort of thing doesn’t happen.” I bristled, and wrote back a fiery response stating that I had no idea of any of the demographics of the tragedy when I first heard about it, that it was the age of the kids and the sheer number of victims that provoked the depth of my reaction. And then I cooled down and thought a little more about it. And the truth is, Sandy Hook had to be reported in the media for me to learn about it. And the media, like it or not and however unconsciously, do report crimes against white people differently from crimes against people of colour. So my reaction, however colour-blind, and independently of the anti-racist attitudes I actively try to communicate and nurture, was nonetheless embedded in the cultural racism of our society and the privilege of my own whiteness. Like it or not, I couldn’t deny it. Recently, 15-year-old Hadiya Pendleton was gunned down in a Chicago park. Again, there was an angle to her story that would pull at the heartstrings of the country – an honor student at her high school, loved and respected by friends and teachers, a majorette who had performed at President Obama’s inauguration, randomly shot by gang members in a city where gun violence is out of control. Oh, and, for those who might wonder about such a thing, she was Black. Her race shouldn’t matter, of course. Which is kind of the point. But – how many people, in learning of the tragedy, whether or not they made any assumptions about Hadiya’s race, assumed the gang members were Black? And suppose that gang member was Black and shot a Black member of another gang? Would that death have received the same attention? My grandmother used to say that each person, whatever else was true of their lives, was born to parents who loved them and had dreams for them. Perhaps a slight overgeneralization, but basically true. And at any rate, each life has value, each life has its place. The loss of a life is a loss to all, a collective loss, not just to those who knew the person. And so, I write. I follow the Twitter account @gundeaths, whose aim is to share and in so doing mark every single gun death in the U.S. I bear in mind the words of my friend as well as the words of my advisees when they spoke out against empty gestures when kids die by violent means and the too-often-imposed veil of silence over other tragic deaths such as suicides. I contact my members of Congress, wade into discussions of how to reduce violence, prevent suicides, and ensure as many kids as possible grow up to have their own kids. I work to rid our society of embedded racism – as well as gender prejudice, socioeconomic prejudice, and, well, prejudice in general. My shoulder grew progressively numb as my friend, convinced that everyone who claimed to be a pacifist had a breaking point, kept hitting it over and over. His face began to contort, and through gritted teeth he hissed, “I’m going to make you hit me.” But I didn’t hit back, and eventually he walked away in disgust. I’ve always wondered what he took away from the incident. Me, I took pride in having successfully maintained my principles of non-violence, though as it turned out I couldn’t have moved my arm if I had wanted, and it hung uselessly at my side for at least five minutes as I walked to my next class and took my seat. Several years beforehand, when I was in eighth grade, I first read Daybreak by Joan Baez. In a series of poems, dreams, vignettes, and essays, she explored her own pacifism and the principles by which she unflinchingly led her own life. It was one of the most influential books of my childhood. As I grew in adulthood, though, I couldn’t help but think that it wasn’t always as simple as Ms. Baez made it out to be. One evening, not long after I began teaching here, we invited Andrea LaSonde Anastos, then co-minister of First Church in Deerfield with her husband George, to talk about her life and work. Among other subjects, she touched on her own pacifism, inspiring a question from one of the students as to whether she could ever conceive of a situation where she might choose to use violence. She said before she had children, she would have said absolutely not, but that she now realized that if someone went after her kids and she had the chance, she wasn’t sure but what she would take them out without hesitation. Oddly, I was comforted by her admission. I believed (and still do) there was a big difference between personally suffering for one’s principles and watching others suffer, perhaps even die, for the same reason, and I myself wasn’t sure what I would do in the same situation. She made it safe for me to feel that ambivalence. 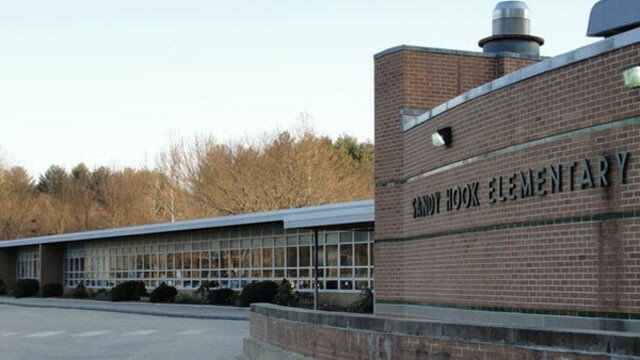 One month ago today, a gunman broke into Sandy Hook Elementary School, and you know the rest. This country has a history of mass killings, and so often the initial shock and outcry subsides after a few days or maybe weeks and nothing ever changes. But there is some evidence that things may be different this time. Here at Stoneleigh-Burnham, our Student Council has written all students “[inviting] you all to wear GREEN and WHITE to commemorate the one-month anniversary of the Sandy Hook Elementary School shooting in Newtown, CT.” (Claire L.) No doubt, we will be just one of countless schools doing so. And this doesn’t even take into account the many individual actions private citizens may be taking, such as writing their Representative or Senators, or engaging people in conversations both face to face and through social media. In a country far too often divided along partisan lines, I feel like I’ve seen more sincere effort to reach across those lines and find common ground than with any other issue in months if not years. As many people are saying, this is going to be a marathon and not a sprint. Meanwhile, according to the Children’s Defense Fund, an average of eight children die each day due to gunfire. That’s 56 kids each week, and nearly 250 since Sandy Hook. This lends a certain sense of urgency to the marathon. I hold out hope that our country has finally become permanently maladjusted to events like Sandy Hook. I hold out that hope not only because I see Dr. King’s ideals in my students but also because I know so many people across the political spectrum who have been deeply moved by Sandy Hook and who sincerely want to leave a better world to our children. It will not happen on its own and it will not be easy. But the alternative is simply unthinkable.